Jazz guitar instruction from the masters of jazz instruction. 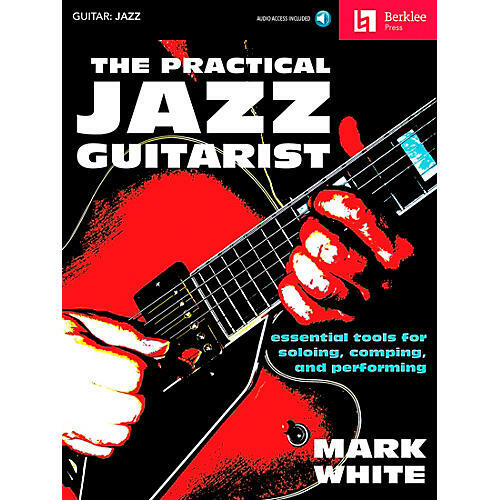 Learn the essential tools and skills for playing jazz guitar. This practical guidebook will help you master the theory, technique, and conceptual framework for how to play jazz: comping chords, soloing, and playing with expression, facility, and good hand health. The accompanying recording provides demonstrations of key technical concepts with play-along tracks to help you develop phrasing and location concepts on the fingerboard. It also provides examples to train your ear with call-and-response exercises similar to what you might be asked to perform at an audition or jury. A unique section on audition preparation for colleges and professional music programs, with an extended interview with Berklee College of Music's director of admissions, will help you advance in your career. Order today and advance your jazz fluency quickly.